Copy of Who We Are — . Becky Thomson Foley has a long history with both Celebrity Cruises and Royal Caribbean International. However, her Entertainment and performance experience goes far beyond the cruise industry. She proudly hails from Coventry, England and completed her studies at the prestigious London Studio Centre for the Performing Arts and training with Matt Mattox himself followed by years performing in various shows all over the world. Amidst all of her training and theatre experience, Becky and her family also performed continuously for many charities, being from a theatre background. Becky eventually pursued her passion for the cruise industry as a Dancer and moved into the role of Dance Captain with Celebrity. She then moved to Royal Caribbean Cruises where she quickly moved through the ranks to Cruise Director. Working with both the shipboard and shoreside teams on new initiatives and programming, it was a natural progression to join the Celebrity Team in Miami as Manager of Entertainment and Cruise Programs, launching new Entertainment and Activities throughout the growing fleet including the launch of Solstice class and earning Employee of the Year. Becky continued to work closely with Celebrity’s entertainment team as an entertainment and programming consultant offering her expert review and analysis of onboard programming and as a creative producer for Folson Creative, whilst also playing the role of 'Mummy’ to her Son, Lincoln. Becky then moved into the role of Director of Entertainment and eventually Associate Vice President, with the vision to continuously innovate and create entertainment experiences that, not just our one million plus guests can enjoy every year, but also that our team can create and perform with passion, enthusiasm and pride. To break the pre-conceived notion of 'cruise ship' entertainment by designing entertainment that is not just the best at sea but the best that can be seen. Leigh-Ann Givens began dancing at the age of 2 and ever since, dance & entertainment has been the driving force in her life. In 1991, Leigh-Ann combined her love of travel with her passion for dance and joined Royal Caribbean International as a dancer on her first cruise ship. After many years of performing, she transitioned to the role of Production Manager where she fell in love with the craziness known as the backstage show. Making a move to land after 12 years on board, she joined Celebrity Cruises Entertainment Department. In her current role as Senior Manager of Production and Technical Operations, she is responsible for all creative and technical aspects of produced entertainment as well as running Celebrity's Production Studio where all cast members reahearse our innovative and creative shows and experiences showcased on board our beautiful vessels around the world. Casey originally came from Kimberley, British Columbia Canada and after graduating with a degree in Kinesiology from the University of Lethbridge, he joined Royal Caribbean International in July of 2000. After working in many different on-board positions Casey then had the opportunity to become Cruise Director and sail around the world. After 12 years and a growing family, Casey joined the Celebrity family shore side as Manager of Entertainment overseeing all of the cruise directors, guest entertainers and enrichment programming. Casey's goal is to be sure we have the right people in the right position and supporting the fleet to ensure the highest level of experiences and entertainment for our global guests. "Bryan Anthony White began his Entertainment career as an actor, singer and dancer and organically transitioned in regional and educational theatre into stage, company and production management roles. After studying Theatre Directing with some of the most provocative and exciting practitioners in the industry, he spent several years in theme parks in entertainment operations, production and development before entering the cruise industry. 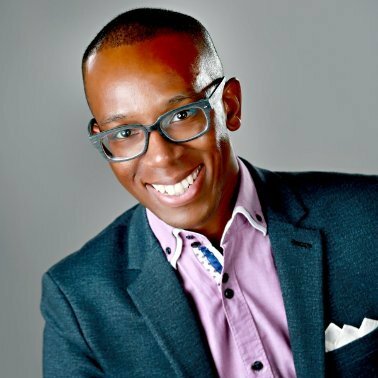 His cruise industry experience has spanned multiple award winning lines, in roles as Production Stage Manager, Cruise Director and Entertainment Director, and is thrilled to bring a process oriented focus to his current role overseeing Celebrity Cruises' Guest Activity and Youth Programs development and operation." Originally hailing from New York, NY, Auri holds a BFA in Musical Theatre from Ithaca College and MA in Educational Theatre from New York University's Steinhardt School of Culture, Education, and Human Development. 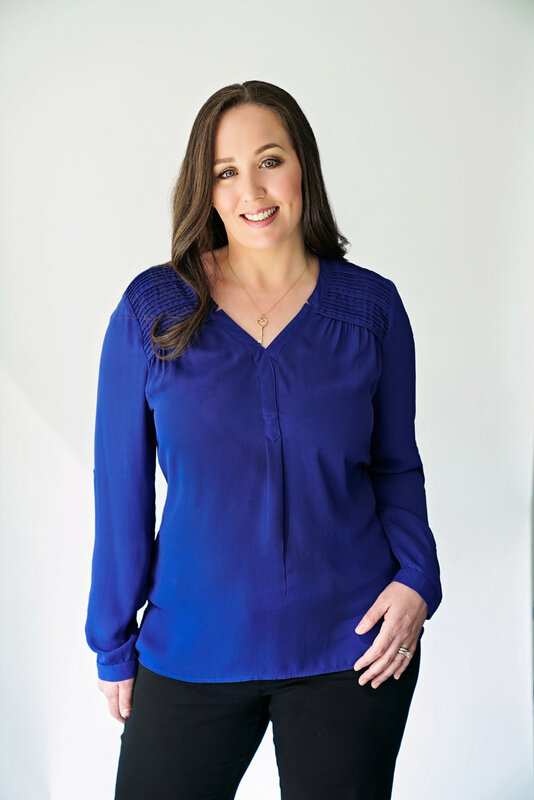 With a combined total of nearly 25 years in the industry as a performer, educator and casting director, Auri joined the in-house Studio team in Fall 2014. Now residing in Miami full time, she is thrilled to oversee the casting of Production Vocalists, recruitment and management of all in-house Vocal Directors, and Music Production, Supervision & Licensing of mainstage shows within Celebrity Cruises Entertainment. With a passion for inclusivity and diversity, Auri is proud to represent a company as progressive as Celebrity Cruises when traveling the world recruiting the best talent on the Seven Seas. Stephanie initially trained full time in Latin-American Dancing in her home country Germany, later in the United States and successfully represented both countries in international competitions. Throughout her career Stephanie continuously broadened her repertoire in different dance styles and starred in many Broadway, Cirque, and Cabaret style production shows including the inaugural cast of Sir Cameron Mackintosh's "Encore! Mr. Producer!" Stephanie was not only a featured dancer and aerialist, but also acted in management roles such as Dance Captain, Company Manager, and Install Director. After retiring from working on board, Stephanie completed her Bachelor of Science in Education, Physical Education, and English at the University of Cologne, Germany. In 2010 Stephanie moved to Miami and joined Royal Caribbean Productions as Rehearsal Director. She thouroughly enjoyed teaching, directing, installing, choreographing and creating production shows for international casts of singers and dancers. Four years later, Stephanie was given the opportunity to transition to Celebrity Cruises to be part of the exciting startup of Celebrity Productions at the brand new productions facility. In Stephanie's current role as Dance Casting Specialist, she is responsible for casting and hiring high level dance talent (Dancers, Aerialists, Adagio/Aerial Teams, Specialty Acts, and Atmospheric Performers) as well as managing casts in rehearsals and on the ships. She also recruits and manages install directors and choreographers. Stephanie is thrilled to be part of such an innovative and creative team. 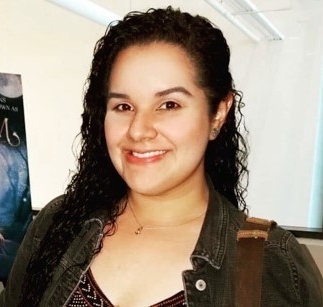 Miami native and union designer, Genesis V. Cordoba specializes in designing, constructing and styling of costumes for Film, TV, Theatre and Entertainment productions. Majoring in Design with a Bachelor of Fine Arts; she graduated at the top of her class from Miami International University of Art and Design. As she was growing up she often found herself going through art books, studying art history, post modernism and contemporary art. Genesis would understand the art world, whether it be visual, audio or written and would then take initiative and innovate from it. Her unquenchable thirst for knowledge has brought her to be involved in avant-garde couture, whilst winning first place in several competitions. She has been known for her ability to design with strong elements of romanticism, fantasy and hint of darkness. "My design philosophy has been to design for those who do not necessarily exist in reality, and to transcend above what people are used to seeing in the real world" says the designer. The wide range of artistically inclined individuals in her family have influenced and inspired Genesis to reach beyond the limits of her creative ambitions. Broc Power is an Indiana native and a proud Hoosier who graduated from the Indiana University Jacobs School of Music. Broc began working for Celebrity in 2011 as a trombonist and has been on most ships both as a musician and a Musical Director. In 2017 he started working in Fleet Operations for Celebrity hiring and managing all live music for the fleet. He now resides in Miami and is an active musician in South Florida. Michael Shay is overall responsible for the Entertainment light, sound, video and rigging equipment onboard Celebrity's 10 ship fleet. He has been with Celebrity Cruises and Royal Caribbean Cruises since January of 1998. Prior to Joining Celebrity Century as the Lighting Operator in 1998, Mike worked for Disney on Ice and for Opryland theme park repairing and supporting the lighting equipment for the park. It was through Opryland Productions, who produced shows for Celebrity Cruises, that got Mike to Celebrity Mercury during the new build and theater setup. After sea trials Mike decided that the technology in the theaters and the variety and challenge of ships was a great opportunity. After roughly seven years at sea holding various positions in Entertainment and Hotel Operations Mike came shoreside as part of a large IT project. After working on the Royal Caribbean side of Hotel Operations Mike returned to Celebrity Entertainment in mid 2013. Monique, born and raised in New York, holds both an AS in Technical Theatre from Suffolk County College and a BFA in Stage Management from the University of Miami. Having known she wanted to be in the theatre & entertainment industry since she was 15, she started her journey in Miami in 2012. Monique was originally hired to work for Royal Caribbean for a one month contract as Stage Manager for Mamma Mia!, but that one month turned into over 2 years of stage managing all of their Broadway product. She then transitioned to Celebrity in the spring of 2017 and is extremely happy to work for a company that continues to surprise her, in the best ways, every day. Alyssa hails from Pittsburgh, PA where she received her Bachelor of Science in Sport, Arts, and Entertainment Management from Point Park University. Alyssa’s early career saw her serving as a performer, teaching artist, and administrator for several Pittsburgh based dance and theater companies. Her passion for travel and life at sea began as a cast member on board Disney Cruise Line followed by international tours with Sesame Street Live and then setting sail with Royal Caribbean. In 2013 Alyssa came to the Royal Caribbean Production Studios to assist with Costume and Wardrobe production and operations as well as overseeing recruitment and casting for their DreamWorks program partnership. Alyssa is currently working on an MBA in Media Management and is excited to be a part of the Celebrity Guest Entertainer, Live Music, and Enrichment team. Sherley Ocampo was born in Miami, Florida. She moved to Colombia when she was just a little girl and came back to the United States in year 2000 to start Veterinary School. In 2012 Sherley started her career as a Brand Ambassador, Product Specialist and Event Coordinator with various brands at well recognized events. In 2017 she joined the Celebrity Entertainment Team as Coordinator, Entertainment Productions Operations.